Many of us take up nutritious eating for the physical health benefits, but the health of our gut has an imporant connection to our mental health. 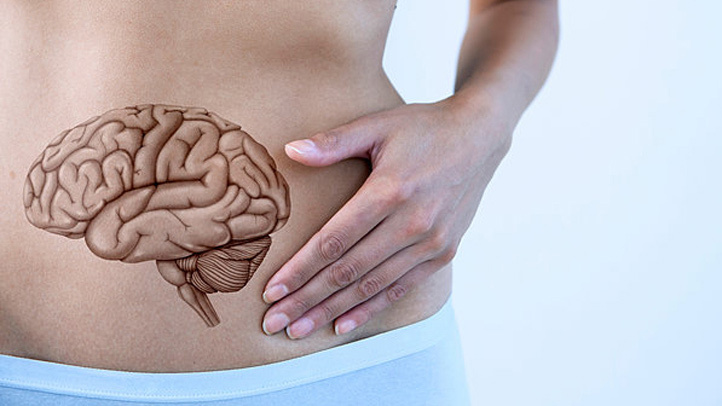 The function of our gut has been linked conclusively to normal central nervous system (CNS) function. Our brain has a direct connection to our stomach. When we think of food, messages are sent to our stomach telling it to get prepared. Messages flow in the other direction via the vagus nerve, immune system, our enteric nervous system and neuroactive chemicals. The gastrointestinal tract is sensitive to emotion. Anger, anxiety, sadness, elation — all of these feelings (and others) can trigger symptoms in the gut. Therefore, a person's stomach or intestinal distress can be the cause or the product of anxiety, stress, or depression. Have you heard the term Psychobiotics? They are probiotics and prebiotics that can improve your mental health by changing the mixture of bacteria in your gut. Probiotics provide a neuroprotective role by preventing stress-induced synaptic dysfunction between neurons. Look into incorporate more lactobacillus and Bifidobacterium into your diet as they produce GABA (gamma-aminobutyric acid) that reduce anxiety. Fibre is important; it feeds the microbes we want in our gut, that fight off pathogens, inflammation, and depression. For those with a sweet tooth, use good quality maple syrup and honey as alternatives to sugar. Both of these provide a psychobiotic boost.